Thanks to Gary Robards, whose kind assistance and contribution helped to bring this information to you. 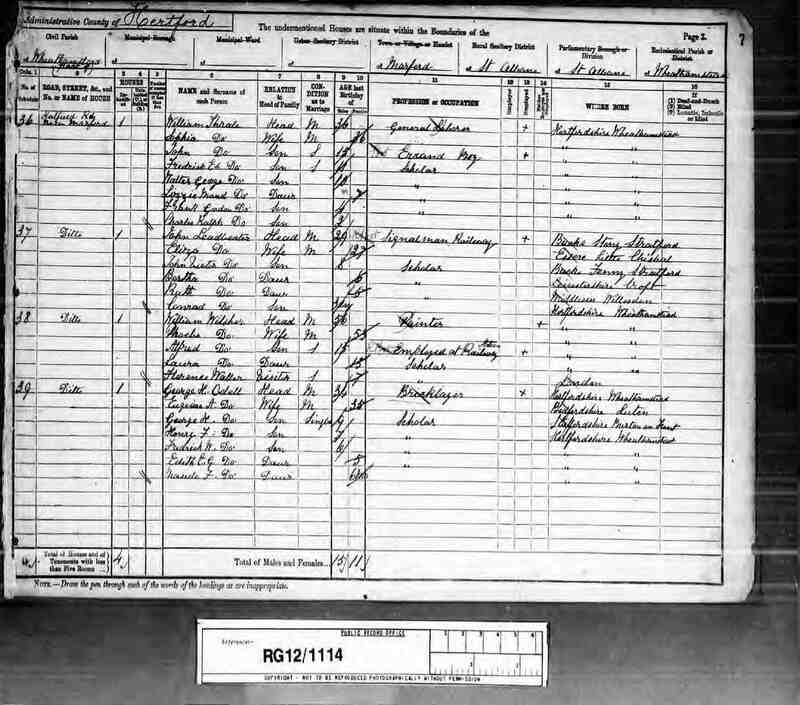 The 27 Thrale's from Hertfordshire in the 1881 English Census which took place on 3 April 1881 are listed here. Not shown, are a further 12 in Nottingham, 9 in Surrey, and 5 in Kent. The Parsons family and the Thrale family are both key families in Sandridge history and have at least twice been connected by marriage.